While waiting on the PC patch for Arkham Knight, I take a break to revisit the Asylum. It has been a few years, but the memory of the signature Batman games still burns bright. How does it hold up? What has Arkham Knight improved upon, and what has it forgotten? How did Joker pull off this plan again? Just Playing – Checking in on random moments from the games we are currently playing. What are you doing in that game anyway? How do the stealth sequences feel? Most importantly – How did the combat feel? Good lookin Asylum, Batman lost a few polygons – AA still looks and sounds great. Without a doubt, this is one authentic Batman universe. The star of the game is the asylum itself and the environments are dripping with as much grime as they are purpose. The character models are the only pieces that are showing their age a bit, and that probably only stands out because I’m fresh off of a Batman model that is so new that it is still dripping. The characters in AA tend to have flatter textures, clumped hair, and waxy skin. However, the art design still holds up and it has my favorite versions of Joker, Killer Croc, and Harley Quinn. AA Commissioner Gordon is a bit forgettable. AK has a more detailed character model with presence thanks in part to me being a fan of AK Gordon’s voice actor. The lighting is superb in AA and goes a long way to setting the uneasiness that permeates Batman’s night in this funhouse. The original detective mode – I abused detective mode in AA. However, thanks to my extra 30+ hours of Batman experience since AA, I didn’t rely on it as much in my return to the game. That being said I’m a huge fan of the look of detective mode in AA. It reminds me less of the computerized view of the later games as it has more of a stylized look reminiscent of The Animated Series. It’s subtle, but I also find the UI in AA’s detective mode a lot easier to read. Sure, it’s not as “cool” as the later games and doesn’t have all the investigative bells and whistles, but usefulness has its place. The opening stealth sequences are obviously going to be the simplest, but man, that simplicity made me feel in total control of my bat options. That control makes you feel powerful from the start. These tutorial sections are fantastic and made me appreciate the foundation on which this series is built. Fighting revelation – Can you really have nostalgia for a gameplay feature? I cannot say for sure if my fanboyism of AA is getting in the way, but the combat in AA is superior to the rest of the Arkham series. Hands down. I remembered things felt different from the get-go in City as well as Knight. The open-world design requires that the camera be pulled out a bit, but that can’t be the only thing throwing me off. The enemies in AA just feel denser or Batman hits harder. That’s the best way I can describe it. Every action Batman takes in combat has more impact in AA and the tight camera angles just add to the intensity. AA is also less forgiving about keeping your combo streak going so getting to your more powerful moves requires more focus. All of that combines into a much more satisfying combat experience than AA’s sequels. It’s telling that so many games have tried to borrow or mimic AA’s combat that even it’s sequels can’t match it. I do not want to take away from high points of Arkham Knight or Arkham City. Both are fantastic games with a broad Batman experience that I will always enjoy. Rocksteady just nailed it on their first outing. They also didn’t bungle the sequels which would have been much easier to do than create the worthy follow-ups that those games turned out to be. 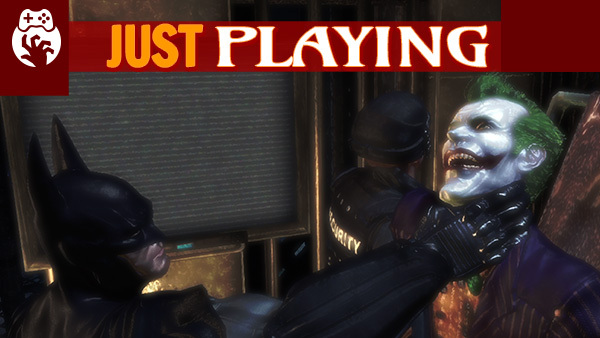 Sequels may add more, but the tight focus and straightforward gameplay of Batman: Arkham Asylum is as timeless as any of my favorite games of all time.